As the need for nursing assistants is growing, pull up your socks for the upcoming NCLEX-PN test and experience the review questions in the practice tests. Evaluate yourself by finding exam-like questions and excel in the main exam. National Council Licensure Examination or, commonly known as NCLEX, is an accessible examination held in the United States and Canada for licensing of Registered and Practical Nurses. 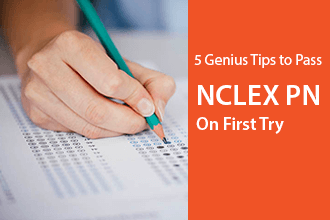 Best way to assess your performance by opting for free NCLEX questions. Get complete insights regarding your preparation with different types of NCLEX practice tests, so that you can work on the areas and improve for the examination. This is a hassle-free platform which allows you to attempt a wide range of NCLEX-PN questions through different nursing tests. Also, there is no need to log in, sign up or save your progress as it gets updated without having an account. Appear in the test in the same way as you will do in the NCLEX-PN exam. On the simulator, experience the same number of questions and know what needs to be done to excel in the entrance test. What does NCLEX Stand for? 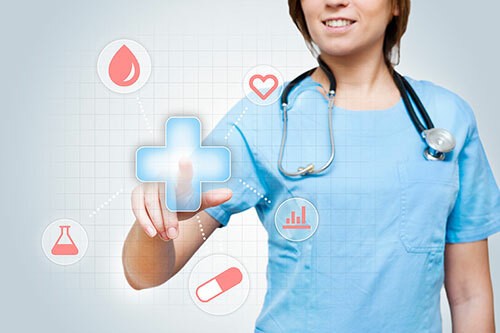 NCLEX is an examination held for checking the necessary knowledge and licensing of nurses in the United States for more than a couple of decades. Recently, in 2015, it has been introduced in Canada as well. Held for both Registered Nurses (RN) and Practical Nurses (PN), the nursing exam takes place every year for the candidates graduating from various nursing schools all over the country. Passing the exams allows the nursing individuals to start practicing in their field of work, in the state from where they have got their certification. The NCLEX exams are held under the banner of the NCSBN or National Council of State Boards of Nursing. The exam is carried out in a Computerized Adaptive Testing Format (CAT). To pass the NCLEX-PN examination, the candidates need to attempt a minimum of 85 questions from a total of 205 questions within the given time of 5 hours (including break and tutorial duration). Moreover, if the candidate attempts the maximum number of questions and his/her competency level remains slightly above the passing standard, he/she can pass the exam. Also, if he/she attempts the minimum number of questions, the examination can still be passed if the competency level is constantly above the passing standard for the last 60 questions. Each LPN practice test contains the same number and type of NCLEX style questions as the main exam in order to help you get familiar with the pattern and analyze your performance better. These free NCLEX practice questions for LPN give you an insight on how LPN entrance exam is like. Attempting a large number of exam-like questions certainly boosts the confidence of an individual. Not only questions, but we also provide a complete explanation of the answers so that the individuals do not repeat the same mistake. Our free NCLEX practice exams are sure to help clear the nursing exam. 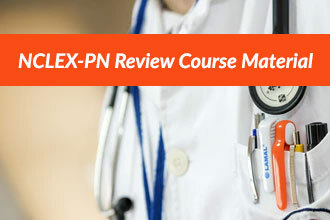 Why Choose Us for NCLEX-PN Exam Preparations? A one-stop destination for Practical Nurses who are looking to enhance their career prospects. The NCLEX-PN practice questions available on our platform are similar to the ones that are given in the main NCLEX exams of different states across the country. Moreover, these practice tests contain all the questions based on the latest course material, just like the written examination you will appear for, which allows you to enhance your preparations. 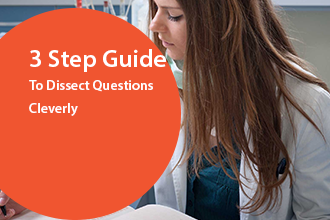 We ensure that the questions you attempt here will be similar or identical to the ones in the main NCLEX-PN examination. How to Proceed with NCLEX-PN Tests? 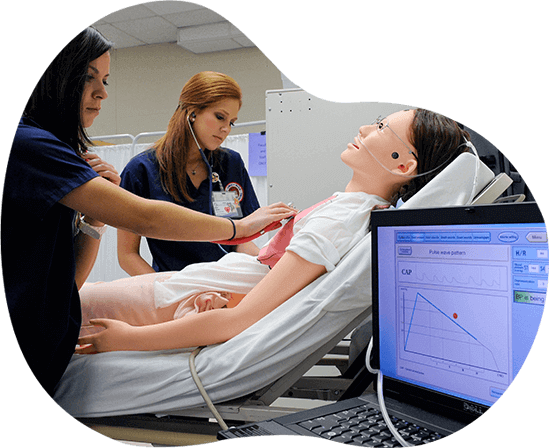 Prepare for some specific topics from your NCLEX-PN course and then opt for the practice tests based on those topics on our exam simulator. This will not only help you know about your preparations but will also provide answers to the questions with an in-depth explanation. Practice exams offer a real-time experience to the candidates, which can help them gain confidence and shed additional exam pressure. 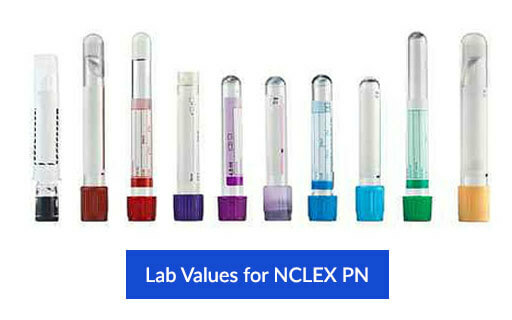 The NCLEX-PN tests are also divided into different categories for your ease. Practice Sample questions, Today, and Every Day, and enjoy your success. I was not sure of my NCLEX PN exam preparation until I got here and took some tests free of cost. I not only got the confidence to clear the examination but also got to review my preparations through these nursing questions and work on the weak areas. When I searched for free LPN practice test online, I landed on the NCLEX PN Practice Questions website. It turned out to be a blessing for us as the practice tests me and my friends appeared in had many similar questions to the ones which were there in the final entrance exam. Kudos to the creators! 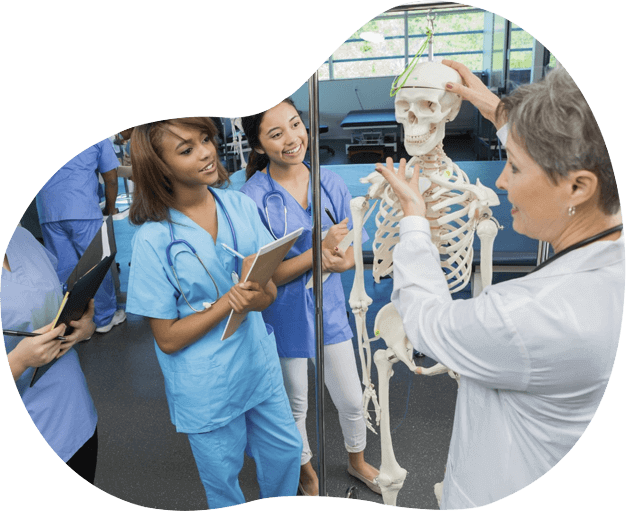 Becoming a Licensed Practical Nurse (LPN) is not an easy nut to crack; you need to study a lot to pass the NCLEX-PN (National Council Licensure Examination – Practical Nursing). After proving your proficiency in clinical settings and classroom during the LPN training, you are supposed to qualify the NCLEX state board exam to obtain the licensure. Can I take the NCLEX-PN exam at the center of my choice? Yes, you can appear for the NCLEX-PN at the center of your choice after receiving an Authorization to Test (ATT) from the board of Nursing (BON) or Regulatory Body (RB). Once you receive the ATT via email, you can schedule your test timely by visiting https://portal.ncsbn.org/. An ATT issued by the BON/RB is considered valid for an average of three months, and you should schedule your test within this given time frame both online and offline. You can either ‘Register’ or ‘Sign In’ to your Pearson VUE account or, if you have not received or lost your ATT, you can call at 866-496-2539 to schedule an appointment, and make the required payment for the same. How long shall I wait for my NCLEX registration confirmation? The scheduling for the first-timers is generally done within the first 30 days of registering, whereas the allotment time for repeaters is close to 45 days. If the center and time of your choice are not available, you may get another one close to the time and date you opted for. However, if the given appointment is not convenient for you, you can reschedule the examination before the expiry of the ATT. 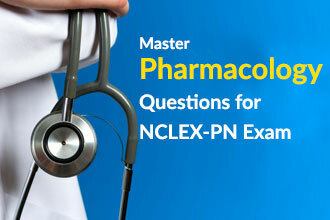 Does NCLEX-PN repeat the previous exam questions? Most likely, there is not a possibility of a repeat question in the NCLEX exams. However, if you feel that the question has been repeated, then it must be a bit different from the previous one, or they might be looking for the correct answer, which you did not mark at first. On the other hand, if you are a repeat test taker, then there might be a possibility of the repeat items getting appeared on the screen. The NCSBN has also accepted that some questions may sound similar, but it is not necessary that the same questions will be there for you to attempt. What will happen if I run out of time in the exam? It is mandatory to attempt a minimum of 85 questions from a set of 215 questions in the NCLEX-PN test to be eligible to pass the exam. 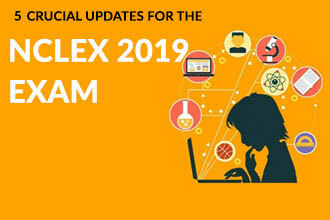 However, if you attempt close to the minimum number of questions required and your competency level remains above the passing standard constantly for the last 60 questions, there is a possibility to clear the examination. Also, if you fail to clear the test, you will receive a shortened CPR mentioning the number of questions you had to answer to get yourself evaluated. Who is NCLEX-PN scoring authority? CAT does the scoring, but the criteria are set by the Board of Directors (BOD) of the NCSBN. The BOD analyzes various aspects of the examination and revises the passing standard for the same every three years. It is done to ensure that the candidates passing the test are capable enough to carry out safe and efficient nursing practices. Results of the standard setting survey taken up by the professionals and experts. What is CAT? What are easy items and difficult items in CAT? Computerized Adaptive Testing or CAT is a type of online exam evaluation that uses the latest computer technology to enhance the efficiency of the examination process. In CAT, all the candidates get different questions based on their ability, and it is mandatory to answer all the questions. The next item appears on the screen based on the answer to the previous question. For instance, if you are answering the questions correctly, you will receive more difficult items as per your ability. On the other hand, if you are incorrect, the next item will be comparatively easy. 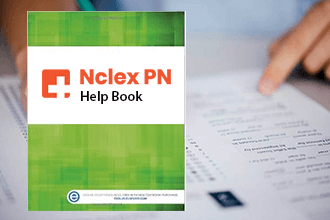 Easy items are the questions for the low-ability candidates appearing for the NCLEX-PN exam that are displayed on the screen one after the other when you are not answering correctly during CAT. On the contrary, difficult items appear on the computer screen during the test to be attempted by the high-ability candidates as they are answering the previous ones right along with maintaining a competency level above the passing standard. How is NCLEX-PN passing standard determined? In this scenario, the computer stops analyzing and presenting the questions after obtaining that the answers of the candidates are either evidently above or certainly below the passing standard, i.e., the candidate is 95% sure of either passing or failing the test. This is the most common concept applicable to the NCLEX aspirants. If the candidate is close to the passing standard and does not fall in the category of 95% confidence rule, he/she is evaluated for the maximum number of questions attempted. This way, the pass or fail result of the aspirants depends on the ability estimate, which can be either above or below the passing standard. In case the aspirant fails to attempt the maximum number of items and is not a part of the 95% confidence rule, the R.O.O.T. method is applied to determine the result. The candidate directly fails the NCLEX-PN exam if the attempt of the minimum number of questions is not attained. In another case, if the aspirant has attempted items somewhere between the minimum and maximum value, the last 60 questions of the candidate will be evaluated. If he/she is found to be above the passing standard, the applicant will be declared pass. Otherwise, the candidate will have to reappear for the examination to get the nursing license. Can I skip any question in NCLEX? No. As the examination is based on CAT, you have to answer every question. However, if you do not answer correctly, then the next item is comparatively easy, increasing the chances to 50% of you doing it right. On the other hand, if you answer it right, the next one may be a bit difficult. Is it necessary that my name and address on ATT should be same as on my ID? Yes, it is mandatory that your full name should be same on ATT and the identity proof you will be providing at the examination center. If not, you have to carry the original legal name-change documents on the spot, like a marriage license or divorce decree, having your first and last names written in Roman characters. For the change in email or address, you need to contact your respective BON/RB well in advance, as it is not possible to make the changes at the test center. If you fail to present a valid proof of identification at the exam center, you will not be allowed to appear for the NCLEX-PN test. Also, you will have to submit the exam fee again for reappearing in the future. If I am not able to take the exam, can I get a refund of my fee? Once submitted, the registration fee is not returned under any circumstances. The aspirants are allowed to cancel or reschedule their test within the validation of ATT for 90 days. However, if you are unable to appear for the exam within the assigned days or you fail to cancel/reschedule your appointment before 24 hours of the examination, nothing can be done other than reappearing for it by registering once again. What do you mean by alternate questions in NCLEX-PN exam? Multiple response items – These questions may have more than one correct response, which needs to be identified correctly by the candidate. Fill in the blanks items – The candidate has to fill in the correct answer in the blank after calculating it. Hot spot items – The items which have information presented in the form of a graphic or chart and are required to be solved accordingly. Ordered response items – Also known as drag-and-drop questions, these items demand the candidates pick the options and arrange them to display them in the right order. Audio items – In this format, the aspirant has to listen to the audio using headphones in order to provide the correct answer. How long do I have to wait for my NCLEX-PN result? Your registered BOD/RB has the right to release the official result, which is generally sent to the candidates in a time frame of around 45 days. Which units of measurement can I use for lab values in my NCLEX-PN exam? The units of measurement used in the examination are the ones of the nursing profession and will be known to the aspirants appearing for the test. A mix of the international system of units (SI), metric and imperial measurement options are used in the exam. What does it mean by “Entry-level Nurse”? A nurse, who has 6 months or less experience, is known as NCLEX entry-level nurse. However, as per the recent decision of the NCSBN, effective from April 1, 2017, an “Entry Level Nurse” is a nurse who has not more than 12 months of experience in the field.